Freshest has assisted B2B businesses connect and engage with qualified prospects throughout the customer experience for almost 2 decades, and feels right at home in the quick-growing tech hub of Seattle. Through our experience, Seattle has been a hot spot for B2B product innovators. We look forward to connecting our craft to the northwest region. 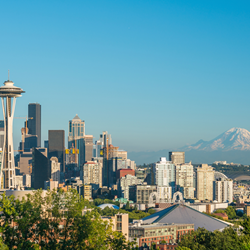 Freshest.com, a leading demand generation marketing agency, announced the opening of their eighth location in Seattle, Washington this week. The office, located near University of Washington, will house additional marketing teams dedicated to empowering B2B clients demand generation, while nurturing leads, to optimize their marketing automation investment. Freshest has assisted B2B businesses connect and engage with qualified prospects throughout the customer experience for almost 2 decades, and feels right at home in the quick-growing tech hub of Seattle. Freshest growth has picked up scale in recent years and the agency continues to build certified marketing automation within all eight offices. With a unique combination of data science and artificial intelligence, Freshest offers B2B clients simplification of the marketing process while exceeding conversion goals. About Freshest.com: Freshest is a marketing agency founded in 1999. Since the beginning, Freshest has evolved their marketing techniques and strategies to align with the ever-changing needs in the tech world, and continues to see successful growth across all services. For more information about Freshest, please visit http://www.freshest.com.